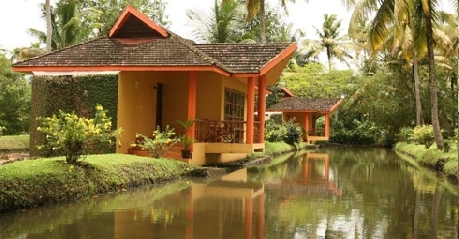 Located in Kumarakom, Ayurtheeram a full-fledged Ayurvedic resort is located in the breath taking backwater city of Kerala. 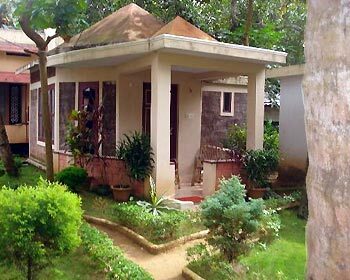 The resort is spread over 17 acres of land and boasts various facilities for Yoga, a herbal garden, Ayuervedic spa restaurant, Ayurvedic and meditation center. Ayurveda is one of the oldest medical systems in the world and has been evolving in India for a hundred years. The resort offers 5 star facilities and amenities with well-furnished cottages, in house restaurant, conference room facilities, conference hall that can accommodate 100 guests, pool parlor, various indoor and outdoor games, water games, bakery, beauty salon, gift shop, swimming pool for children, in house library, ample car parking space, internet café, doctor on call, Spa with a number of therapies and much more. 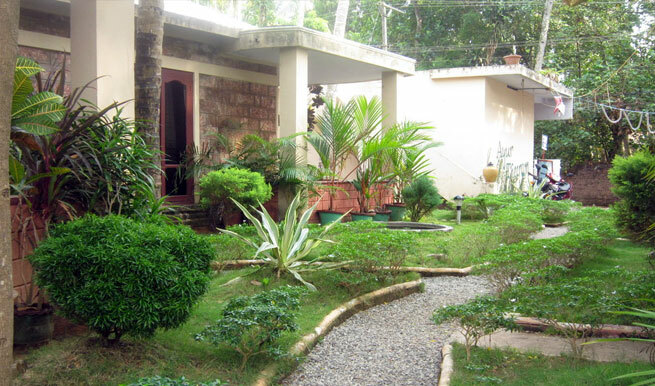 The resort offers 28 spacious individual cottages that are named after various islands. 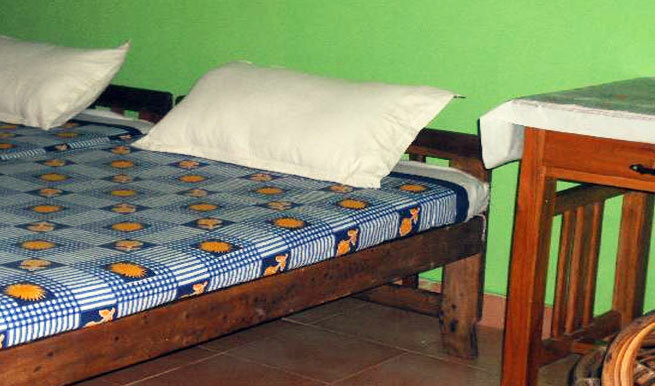 The cottages offers a large king sized bed, fully air conditioned within room temperature control, carpet flooring, separate sitting area, color TV with cable connection, a dressing table, 24 hour room service, attached bathroom with running hot/cold water, a ceiling fan, in room dining options and a view of the backwaters. The resort offers unique one-bedroom houseboats for a memorable stay of the guests. The houseboats offers a large king sized bed, carpet flooring, separate sitting area, a dressing table, fully air conditioned within room temperature control, color TV with cable connection, 24 hour room service, attached bathroom with running hot/cold water, a ceiling fan, in room dining options and a breath taking view of water bodies around. The resort offers a multi cuisine menu for all guests to enjoy their meals. 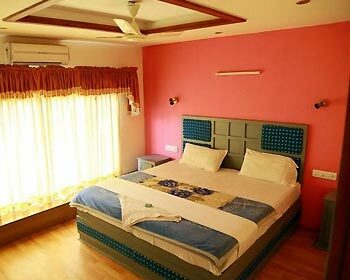 It also offers A/C and non-A/C seating options along with a spacious Ayurveda restaurant that serves pure vegetarian healthy food for the guests specially coming to get various treatments done at the resort. 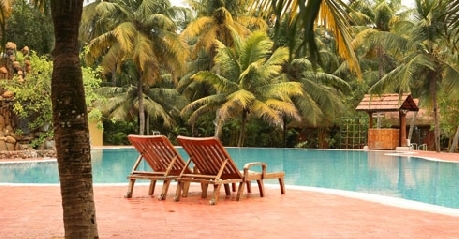 The Ayurtheeram Kumarakom has an on-site Ayurvedic Spa that deals with ancient Ayurveda treatments. From relaxing massages to long term therapies with yoga and Ayurveda-specific diet. Dhara: The mental relaxation massage that consist of herbal oils, medicated butter milk poured on the forehead. It’s an Ayurvedic treatment for insomnia, mental tension and skin problems. Sirovasthi: It’s the treatment if applying herbal oils on the head, curing patients with headaches and Vatha or arthritis. Pizhichil: The herbal massage with special oils to cure ailments from rheumatic ailments to nervous disorders. Njavarakizhy: Medicated rice mixed with other concoctions are applied for patients affected with joint pains and arthritis. Udvarthanam: An excellent Ayurvedic massage with herbal powers aiding with obesity, paralysis and rheumatism. Abhyangam: A special oil massage on human circulatory channels for 45 minutes per day for 14 days to cure skin problems, insomnia and obesity. Dhanyamladhara: One of the specialized ayurvedic facilities in Ayurtheeram, this treatment uses warm herbal liquid poured all over the body in a rhythmic way that has wondrous effects on hemiplegia, paralysis and other ailments. The treatments offered include distress therapies to slimming treatments. Medicated steam bath, specialized diet and yoga aid the benefits of Ayurveda on your stay at Ayurtheeram.